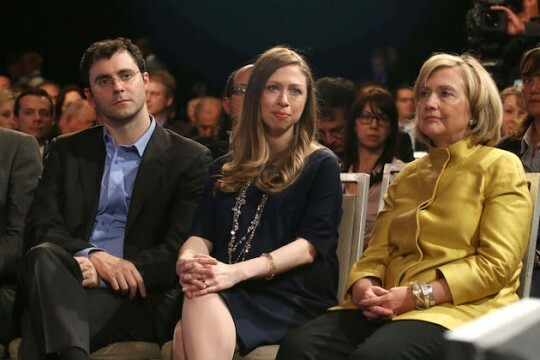 Clinton son-in-law Marc Mezvinsky a terrible hedge fund manager. You shouldn't give him your money, unless you're more interested in gaining political access to the Clintons than you are in earning an actual financial return on your investment. On second thought, what's the difference? Mezvinsky, who lives with his wife Chelsea Clinton in a $10.5 million condo in Manhattan, cofounded Eaglevale Partners in 2012 with the help of Goldman Sachs CEO Lloyd Blankfein, a major Clinton donor and personal friend of the family. A number of other wealthy Democrats chipped in, including billionaire investor and Milwaukee Bucks co-owner Marc Lasry, who is also Chelsea's former employer. The Rothschild family was also an early investor. Eaglevale had worse luck with a fund that raised $25 million solely to bet on a recovery in Greece. Its 40 percent plunge last year was previously reported by The Wall Street Journal. Some investors in Eaglevale have withdrawn from or reduced their investments. The investment linked to the Rothschild fund, for example, withdrew about half of its allotment. The two public pension investors that invested in Eaglevale at the recommendation of the Rock Creek Group are out of the fund altogether. Calpers left the fund as part of a retreat from hedge fund investments. The other pension fund, whose identity could not be determined, left because of the firm’s poor performance, said another person briefed on the matter who spoke on the condition of anonymity. In letters to its investors month after month last year, Mr. Mezvinsky and his partners sounded an upbeat and confident note that Greece would soon be on the path to a "sustainable recovery." It was not until the end of last year that Eaglevale finally acknowledged, "Our recent predictions regarding Greek politics have proved incorrect." This entry was posted in Politics and tagged 2016 Election, Bill Clinton, Chelsea Clinton, Greece, Hillary Clinton, Wall Street. Bookmark the permalink.